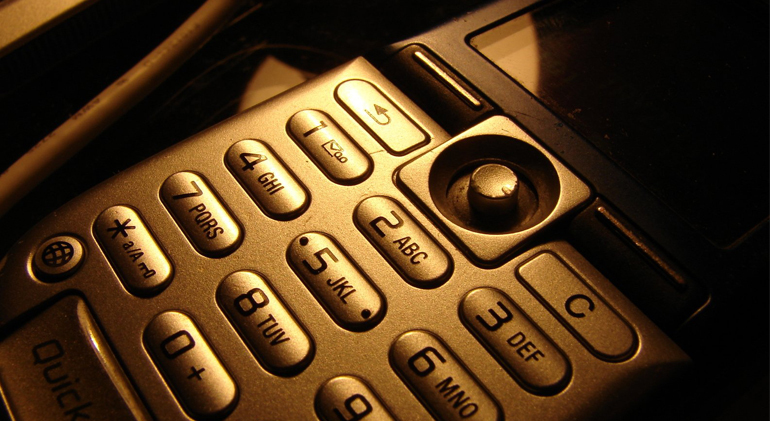 Telecom operators under scrutiny - Imposing penalties against the law? Telecom operators under scrutiny – Imposing penalties is against the law? Recently the Ministry of Trade, Tourism and Telecommunications („Ministry“) declared a decision („Decision “) which forbids requiring within the agreements of telecommunication services the clauses under which the customers have to pay the Operator ( “Operator”) all compensations until the end of the validity of the agreement. This obligation took place even when the consumer or the Operator terminated the agreement, if the reasons that caused termination can be attributed to the customer. According to their media release, in this way the Ministry declared that it “stopped further unjust treatment” of the customers by the Operators, and inappropriate realization of financial gain by using their market position in relations with the customers. But, it is doubtful whether by this decision the Ministry questioned the legal effect and consequences of entering into fixed term agreements, i.e. the general principle of the contract and torts regulations which states that an agreement is binding to parties („pacta sunt servanda“). Namely, it is common business practice of the Operators to enter into agreements with consumers with a predetermined duration period (usually two years). During the validity of the agreement the customer is obliged to pay the Operator a financial compensation in a certain amount for predefined telecommunication services provided by the Operator. By entering such an agreement, both the customer and the Operator accept to fulfill undertaken obligations during the validity of the agreement: customer by paying the compensation, whilst the Operator by providing the services. Hence, the parties are bounded to fulfill their contractual duties until end of validity of the agreement, being responsible for their fulfillment at the same time. However, even though the customer undertook contractual obligation to pay the compensation in a certain period of time, the Operators reserves the option to terminate the agreement prior the expiration of the period for which the agreement is valid, under condition that the customer pays all remaining compensations due for payment until the expiry date of the agreement. The amount of compensation corresponds to the sum of all remaining monthly remunerations, starting from the termination of the agreement until the expiry of the initially agreed term of the agreement under condition that (i) customer terminate or (ii) causes termination of subscription agreement prior to the end of the agreed period. The Ministry’s decision found that by doing this the Operators violated the collective interest of consumers prescribed by the Consumer Protection Act. The Ministry based its decision on the fact that such provision presents unjust contractual provision from Art 45. para. 1 (3) Consumer Protection Act, given that it creates significant disproportion in the rights and obligations of the parties, in particular considering consumer’s obligation to pay the compensation which notably exceeds the amount of damage suffered by the Operator in case of termination of the agreement. At the same time, the Ministry justified its decision under the view that aforementioned clause imposes detrimental burden for the customers. This is concluded from the fact that the Operator, once the agreement is terminated, requires from the customer to pay full fees as if the services were provided, although he does not provide them further and he has no costs in relation with the termination of the agreement. What is more, the Operators do not prove the existence of any possible damage due to the early termination of the agreement. Therefore, according to the opinion of the Ministry, such agreement is contrary to principle of equal consideration prescribed in Art. 15 of Act on Contract and Torts which sets forth that when the parties want to enter into the agreements, they shall begin from principle of equal value of mutual considerations. In relation to the above mentioned, in our opinion it is necessary to separate two situations – (i) when the Operator terminates the agreement due to a customer’s violation of obligations and (ii) where the customer terminates the agreement before planned time, without any reason which could be attributed to the Operator’s fulfillment. When it comes to the termination of the agreement by the Operator due to the breach of the agreement by the customer, the legal interpretation of the Ministry is in accordance with the general rules of the contract and torts regulations. When there is a case of an early termination of the agreement due to non-fulfillment of duties by one of the parties, that agreement ceases to produce legal effects. Therefore, neither the obligations undertaken by it, such as payment of liquidated damage, are binding for the parties, yet the party that terminated the agreement has the right to be compensated for the really existing damage in that particular case. However, when it comes to termination of the agreement by the customer without any reason that could be attributed to the fulfillment of the agreement by the Operator, the situation is somewhat different. As it is already mentioned, it is a general principle of contract and torts regulation that the parties have a duty to fulfill the agreement. Also, once concluded, agreement could be terminated only on the basis of settlement between the contractual parties and in cases prescribed by the law. That being said, the possibility of choice which is left to the customer to opt to pay the Operator the amount he agreed to for the total term of the agreement instead of fulfilling his undertaken contractual duties throughout the end date of the agreement, in fact represents a termination of the agreement based on the settlement of contractual parties. The settlement implies that by entering into the agreement the Operator had given his consent on the consensual termination of the agreement under foregoing condition. Hence, customer is enabled to use the benefit in form of decision to opt-out from the agreement, select another operator who will provide services to him, but that by default implies choosing opting to pay to the Operator initially determined compensation under the agreement. If this alternative would not be prescribed, the customer would be obliged, according to the general provisions of contract and torts regulations, to fulfill the agreement until the end of its validity. That means that the customer shall have to pay to the Operator whole agreed amount, but without the option to stop receiving its services, and eventually change the telecommunication services operator. Such settlement on termination of agreement could be subject to consideration from the point of view of the principle of proportionality, justness and fairness, and eventually injustice towards the customer with taking into account all circumstances of the contractual parties, including reasons for which the customer has entered into the agreement and wishes to terminate it. Apart from mentioned stance based on strict implementation of legal rules by its wording, in European and also local regulation, the cases of the early termination of agreement with the payment of proportionate compensation are not rare. Compensation for premature termination could be increased by percentages depending on how long before the expiration of the validity of agreement it is terminated. Such approach might be the subject of consideration of future legal regulation which will treat the matter of termination of agreement related to telecommunication services, and rights and duties of both customers and operators in that case. The question is whether the final outcome of the resolution of this issue will be different from the position taken by the Ministry. At the end either the formal approach to the duty of honoring contractual obligations, or the general principle of fairness, in the light of the fact that the agreements on providing telecommunication services are so-called adhesion agreements, where the customer does not have the possibility to negotiate the clauses which will be included into the agreement, will prevail. This will depend on judicial approach concerning this question, as the authority which has the last word on interpretation of the law, void agreements and general principles of legal system.